Product prices and availability are accurate as of 2019-04-15 14:14:27 UTC and are subject to change. Any price and availability information displayed on http://www.amazon.co.uk/ at the time of purchase will apply to the purchase of this product.
? 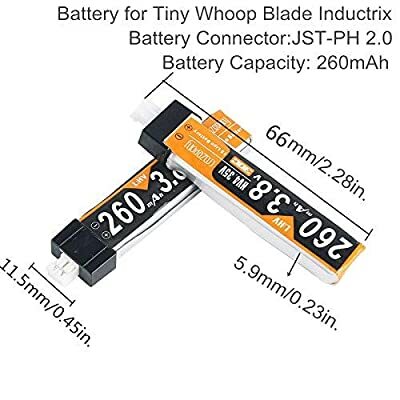 Capacity: 260mAh 30C 3.8V. ? 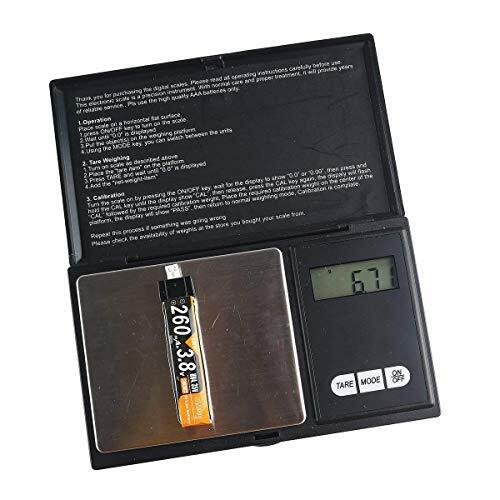 Weight: 7g/per unit,Light weight reliable size:66x11.5x5.9mm. ? 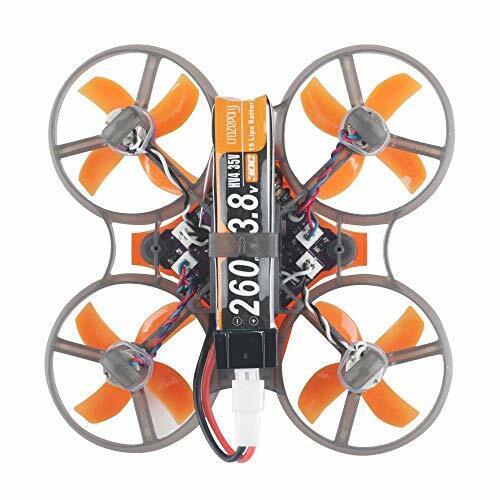 To fit for Tiny Whoop FPV Racing Drone. ? 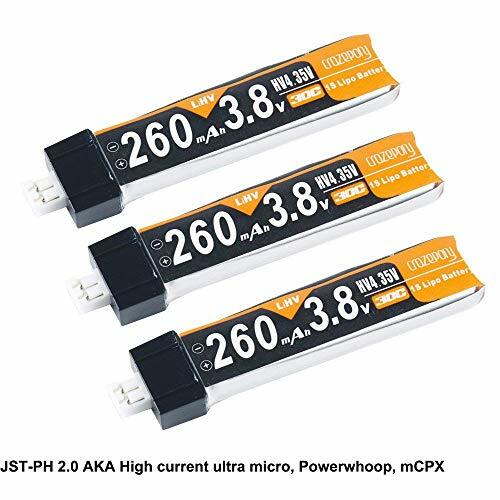 The connector plug: JST-PH2.0 AKA High current ultra micro, Powerwhoop, mCPX. ? 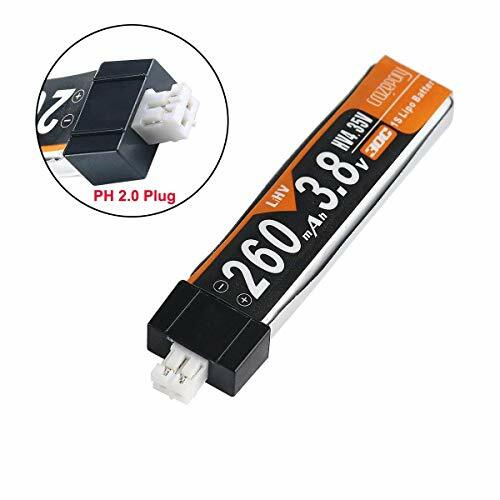 Newly developed chemistry HV 1S Battery,Much more Safer, higher quality and more poewrful rate gives you higher speed flying experience.